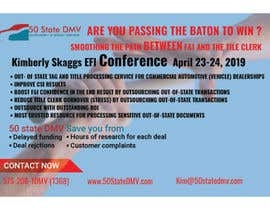 50 State is a Gold Sponsor of the event and Kim will be making a 15-minute presentation on April 24. 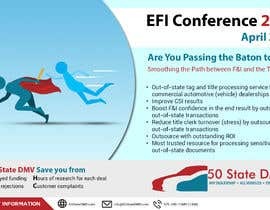 The topic of her presentation is &quot;Smoothing the Path between F&amp;I and the Title Clerk&quot;. She runs a company called 50 STATE DMV. 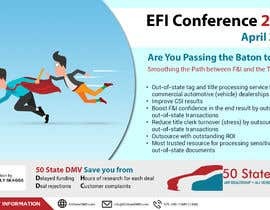 They primarily provide Motor Vehicle Title and Processing Services for dealerships nationwide. 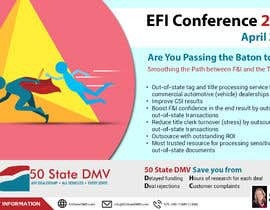 We want the ad to reflect the theme of Kim&#039;s presentation, which is passing the baton from F&amp;I to the Title Clerk, and also the subject of the attached article by Kim. 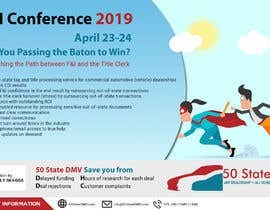 We were thinking of an ad design with the DMV hand-off process illustrated vis-a-vis the 4x4 Relay passing the baton (the metaphor in the article). 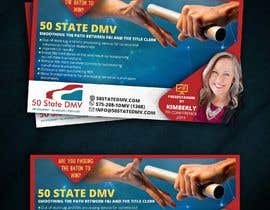 The difference being 50 State is the anchor (4th runner) and should be female. 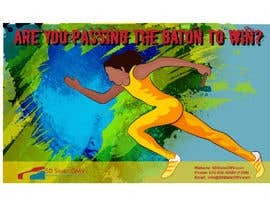 I added a few handing off baton images you can use or find something similar. 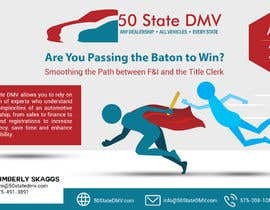 Initially, they wanted to do a superhero theme where the dealership person was handing off the baton to the 50 State DMV title Clerk person dressed as a superhero. 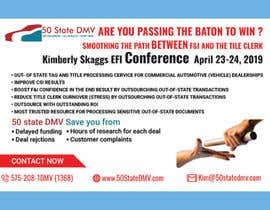 I do not know how difficult that will be, so if you want to instead just do a creative neat clean professional advertisement with an image of the baton being handed off included that would be fine as well. 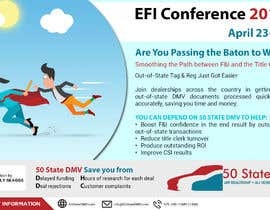 Join dealerships across the country in getting your out-of-state DMV documents processed quickly and accurately, saving you time and money. NOTES: If you win this contest there will be other ads needing to be built for the company. You must provide 300 dpi ad resolution and all files in case we need to change a color or text. 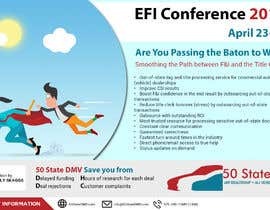 You must include High-quality pdf, png, and if you build in esp we need that as well. 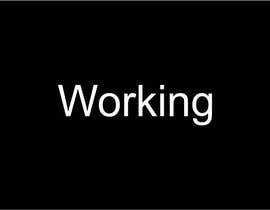 Please shorten the bulleted lines by breaking the sentence off halfway through and moving the rest beneath the sentence. Please Check my entry #8 & update your comments. Thanks. Hello there! the Dimensions are 7.5 x 4.5 but are those cm or inches?